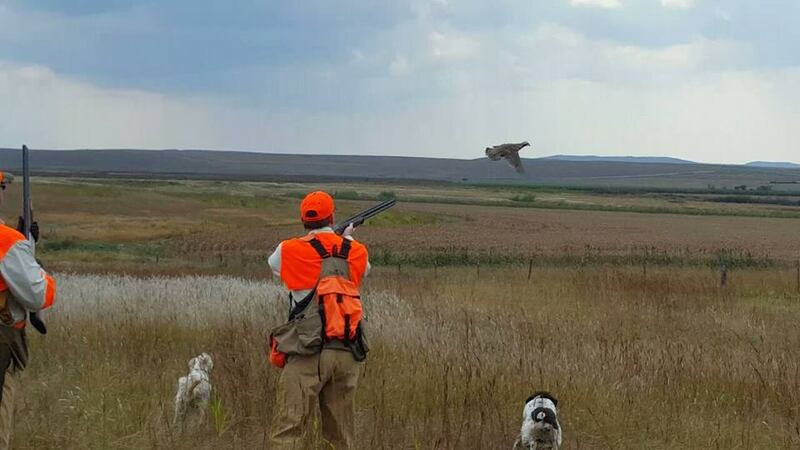 We have traditionally only hunted upland gamebird species that are native to North Central Kansas. Over the past few years we have perfected hunting Chukar in our native grasslands. In our Chukar fields you will get to experience hard-flying birds in open grasslands looking toward the Blue Hills. Chukar are about half the size of pheasants and extremely good fliers. You will get to witness some outstanding dog work as they quarter the open areas and lock up hard on these quick birds. Call and talk to Avery or Tyson in the office for more details. You won’t want to miss out on this high action hunt. A single limit of (12) Chukar is $180/ hunter and can be added onto your pheasant hunt package. Partial limits are available. 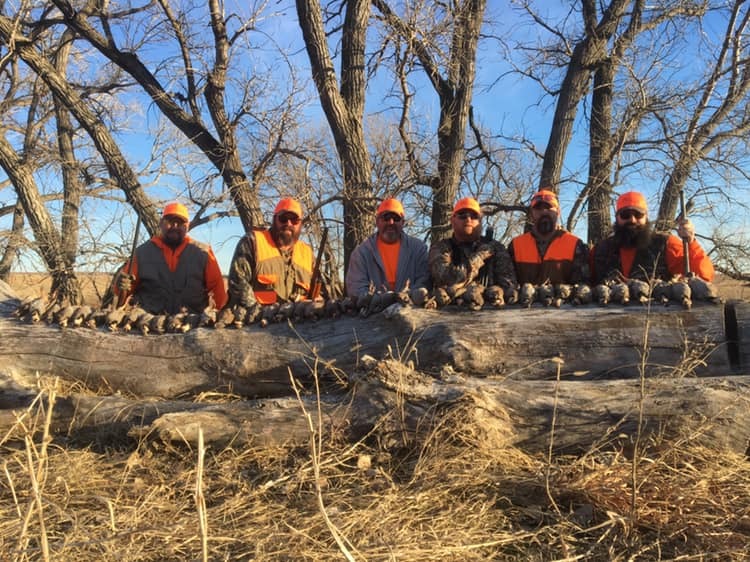 Example Chukar hunt package: A group of 4 hunters can hunt a full limit (12) per hunter for a total 48 birds liberated, or choose to hunt a half limit (6) birds per hunter at 24 birds liberated, or a quarter limit (3) per hunter at 12 birds liberated. Our Chukar hunts are done in the grasslands below the hills and consist of a private hunt in the morning or late afternoon before or after the completion of a pheasant hunt. If you are interested in hunting Chukar give us a call ahead of time as we can not add them at the last minute.